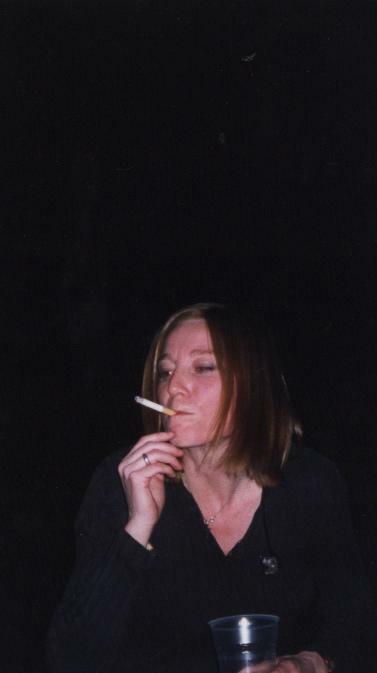 This is not a great picture but it’s just for the memory… During the show, Beth Gibbons asked if someone had a lighter, and I did have one, so, she could light this cigarette thanks to me. We were not that close from the stage at the beginning of the show… But there was a large space between the stage and the barrier, and Portishead or the organizers did not appreciate that. At some point just before the show, someone from the organisation just came close to us and asked if we wanted to come closer, between the stage and the barrier… Of course, we accepted!